In this comprehensive SME financing Singapore guide, you will find practical information on how to secure a SME loan in Singapore easily. You can compare over 20+ banks and financial institutions SME business loans products and view all your eligible funding options instantly! Use our free loan assessment tool to check your company’s indicative loan eligibility and see all available financing options instantly. 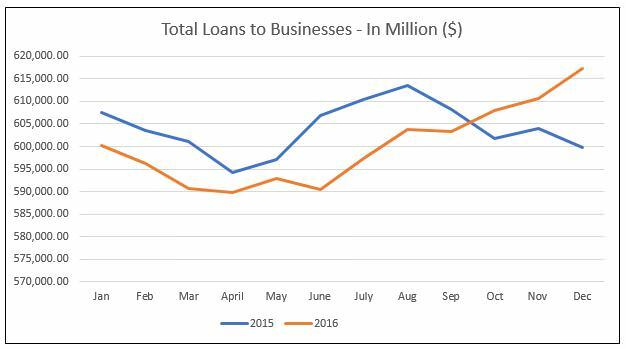 Business lending has declined in 2016 compared to figures in 2015 on a year to year basis from Q1 to Q3 and only picked up in Q4 of 2016. Domestically, some of our local banks have also reported lower profits in FY 2016 due to higher exposure to the troubled oil and gas sector. In this challenging environment for 2017 to 2018, banks will be even more cautious with SME financing. SME owners will need to manage their business’s working capital cash flow prudently and plan ahead if they require financing. You will find useful actionable information in this guide to help your company secure funding. When Should I Apply For SME Financing? This is true. The best time to apply for SME financing is when you can prove that you don’t need it. Conversely, the opposite is true as well. The worst time to seek financing is when you need it the most. Many SME owners we’ve met will only start sourcing for financing when they face a cash flow crunch. Many of these business owners will regrettably have their applications declined by banks. Banks are in the business of managing risk and will not indiscriminately offer SME financing to companies with no clear demonstration of repayment ability. Therefore, it is always a good practice to plan ahead and start initiating your loan applications when your company is in its best financial shape. Where can I apply for SME financing in Singapore? Banks will most certainly be the first port of call for most SME owners when applying financing for their companies. Banks have well-structured and regulated credit and lending departments and provide almost all forms of SME financing instruments. Companies with turnover below S$20 million will usually be segmented under the small business loan lending segment. Aside from the three local banks DBS, UOB and OCBC SME loan, there are many foreign banks whom has an active SME franchise in Singapore. These include Maybank, Standard Chartered Bank, Citibank, HSBC, RHB and many others. All banks have varying credit criteria. Some of them might favor certain industries while others might deem the same industries as high risk. Interest rates, financing quantum and terms might differ across these banks as well. It would therefore be prudent to compare all bank products as widely as possible. Business loans from banks are generally the cheapest SME financing options in the market. However, securing an approval is not easy and can be a lengthy and strenuous process for many SMEs. Due to the perceived higher risk and default rate in the SME lending segment, most banks will have a stringent and robust credit assessment process in place. Banks do not publicize their SME loan application approval rates. From a 2015 study conducted by Visa and Deloitte , it was found that 40% of SMEs do not have any banking support. If your company has sound financials with healthy cash flow and is prepared to wait few weeks to a month on the loan assessment process, business loan from banks would be a good choice when sourcing for financing. Financial institutions (FIs) also conduct lending activities to SMEs but operate without a full banking license. Hong Leong Finance, Singapura Finance, Sing Investments & Finance and many others. Although FIs provide unsecured business loan to SMEs like the banks, most FIs are specialist lenders and usually focus on asset based lending such as equipment and machinery loans. Due to smaller market presence, some FIs might price their business loans slightly cheaper than mainstream banks to remain competitive. However, their credit criteria are usually on par if not more stringent than banks. Also, most FIs would prefer to lend with collateral. In February 2017, MAS announced new regulation  allowing finance companies to offer larger amount of unsecured SME financing up to 25% of their of their capital funds from previous cap of 10%. This will be expected to free up an estimated $550 million of SME loans finance companies can potentially provide. This policy move by MAS will help provide more funding options to SMEs and is expected to be a positive development for the SME loan financing landscape. In Q3 2018, Singapore’s largest finance company Hong Leong Finance saw it’s loan book to SMEs increased to S$10.3B from year to date, the highest record in it’s 57 year history  following the relaxing of SMEs lending rules by MAS in Feb 2017. Peer to peer crowdfunding is one of the latest fin-tech innovation that’s gaining traction here. P2P crowdfunding is a method of debt financing to companies via pooling of funds from a group of investors. The main enabler in P2P lending would be the crowdfunding platform. The role of these platforms is to bring together borrowers (SMEs) and lenders (individual investors) and facilitate the debt financing between these two groups. The crowdfunding platforms primary purpose is to disrupt mainstream banks by bringing both borrowers and lenders together. One of the pioneer P2P platforms locally is Moohlahsense. Such platforms originate business loans by listing potential borrowers on their website. Individual investors whom are subscribed to these platforms can view basic financial profile of these listings and invest in them. Crowdfunding is a viable option for SMEs whom are not able to qualify for traditional bank loan as the credit criteria is usually less stringent than the banks. However, to compensate investors for taking a higher risk with their capital, the interest rates for such P2P loans are also higher than bank loans. Most P2P small business loans bear short term tenure ranging from one month to a year. Processing time is also touted to be faster than traditional banks. As of June 2016, P2P platforms operating locally must be regulated by MAS and be issued a Capital Market Service license to operate. There are also many alternative lenders operating in the SME financing sphere. Most of these alternative lenders are small in scale but serve a niche market. Some of these lenders are private investors whom lend business loan directly to SMEs. Most are not regulated by MAS. One niche alternative lending is Merchant Cash Advance (MCA). The MCA lender will advance a lump sum loan to SMEs whom receive payments with card terminals. The loan is structured as a purchase of future credit card sales receivables from the borrowing SME. MCA serves a niche market for SMEs collecting payments via card terminals such as F&B outlets and retailers, whom can’ qualify for traditional bank loans. The interest rates for these alternative lenders tend to be the highest among all funding options. As the name suggest, unsecured business term loan is a lump sum loan granted without collateral. Repayments are made via equal monthly installment usually for tenure between one to five years. Business term loan is the most common form of SME financing and is considered a plan vanilla product for banks and financial institutions. Term loan is the most popular SME financing product for SMEs owing to its flexibility and ease of use. Once the loan is approved and disbursed, you can use the cash for any business purpose. There is no restriction on usage of funds and you can repay the loan typically over three to four years. 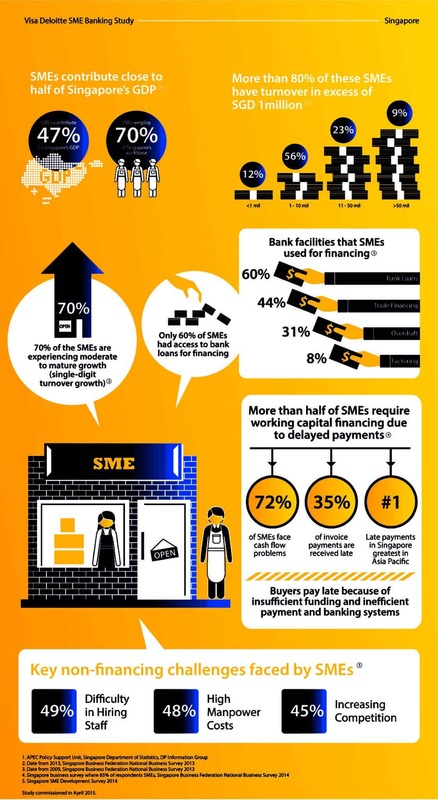 There are a multitude of financing schemes administered by the government entities such as Spring Singapore and IE Singapore which aims to assist SMEs in financing. For most of these schemes, the government will co-share a portion of the lending risk with the participating financing institutions. These government assisted business loan generally bears lower interest than banks’ SME business loans and we recommend tapping onto these schemes first if your company is eligible. If you’re looking to purchase a fixed asset such as equipment or machinery for your business, it would be appropriate to finance the purchase with an equipment/machinery loan. Such business loan is usually structured under a hire purchase agreement or leasing agreement similar to car loans. As this is a secured loan with the equipment/machinery pledged as collateral to the bank, the interest tends to be lower than unsecured loans. The financing bank will finance 70% to 90% of the purchase price of the equipment directly to the equipment vendor and you’ll pay the remaining amount in cash. Loan tenure usually range from one to five years payable in equal monthly installments. As your business expand and grow, you might reach a stage where it’s feasible to purchase a property for your company. A property loan is also a secured loan with collateral. Property loan bears the lowest interest amongst all forms of SME financing facilities as properties in Singapore are generally regarded as an appreciating asset. Although property loan is considered less risky to the bank versus unsecured business loan, the banks do assess the company’s repayment ability as well. Banks usually can finance up to maximum 80% of the purchase price of the property or current market valuation, whichever is lower. If your property purchase is not for business own use and for rental investment, some banks will finance up to maximum 70% loan to valuation. Many savvy SME bosses with existing commercial and industrial properties will also use their property as collateral for financing their business. Astute business owners recognize that using their property as collateral to the banks is a good form of leverage. Because the facilities are backed by the property, they are also able to negotiate attractive financing rates. If you are considering purchasing your own commercial/industrial property, do note to apply for financing first before committing option to purchase to seller. This is to gauge the maximum financing amount your company is eligible for. Factoring/receivables invoice financing is a suitable facility to unlock cash stuck in your customer’s unpaid invoices if you sell to other companies on credit terms. With factoring/invoice financing, you could get a cash advance of between 80%-90% on the value of your outstanding invoices. The remaining % will be paid to you after financier receives payment from your customer. It’s an ideal solution if you extend long credit terms to your customers or sell to big name blue chip clients. In factoring, the banks will place more weight on your debtors’ credit profile over your company’s as they are taking over your debts and are assessing your customer’s ability to pay. Most financiers prefer to practice factoring/invoice financing on disclosed basis. This means the bank will notify your customer they are taking over the ownership of the invoice and your customer will pay to the bank directly on invoice due date. One of the most common stigma SME owners have on factoring is the concern that their clients will think that they have financial difficulties. You might be surprised to find out that many big MNCs also factor their invoices this form of business loan is much more commonly practiced than you think. Industries suitable for factoring are those whom serve corporate clients with recurring invoice nature on credit terms such as commercial cleaning and security companies. For SMEs selling to big supermarket chains or some government bodies which are known to have long credit terms between 90-120 days, factoring is also suitable. Trade financing are credit instruments used to finance your company’s trade cycle. In the SME lending segment, banks will usually offer import financing as the primary trade finance product. This is essentially a revolving credit line granted to your company for financing your raw material or inventory purchases from suppliers. A pre-approved credit limit is granted and you can draw down within this limit to pay for your purchases. Only purchases for raw materials and inventory can be financed. Banks will pay your suppliers invoices directly while granting you credit terms of between 90 to 120 days. With a trade financing credit line, you can issue bank’s LC (Letters of Credit) to your overseas suppliers or pay directly to local supplier whom have delivered goods to you. You can then convert the LC to a TR (Trust Receipt) with 90 to 120 days credit terms. If you purchase from overseas suppliers frequently, having your own trade financing line with LC payment option is essential. With LC payment, you can mitigate the risk of non-delivery of goods. LC is an internationally accepted and common payment instrument as it’s issued and negotiated between buyer’s and seller’s banks. 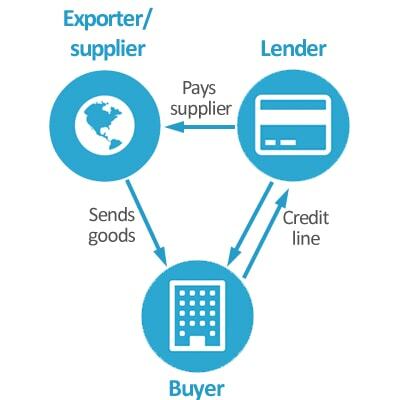 If your suppliers are mainly local sellers, you can also use trade financing to pay their invoices too. With the credit terms granted by the banks, you no longer have to utilize your own funds to pay suppliers first. Working capital cycle and inventory turnover cycle will also improve. You’ll only pay interest on the line limit you utilize and as such, it’s an extremely useful financing tool for financing short term trading cycle. Traders, manufacturers, retailers, wholesale distributors and construction firms that purchase materials are suitable industries for trade financing. An overdraft facility (OD) is simply a revolving line of credit granted to a company. You can withdraw cash on demand anytime within the credit limit granted for any usage. You only pay interest if you utilize the overdraft limit. The way banks calculate interest for overdraft is different from business term loan. For unsecured business term loan, interest is calculated by monthly reducing amortization basis. For OD, interest is usually calculated daily and debited monthly. As such, you are accruing interest on daily basis once you utilize your credit limit. Interest on overdraft also tends to be slightly higher unless your OD facility is backed by a collateral. If the same rate of interest is quoted for business term loan and overdraft, do note you will always pay a higher net interest for the OD assuming you fully draw down the credit limit. OD is a useful facility to plug short term (few weeks to a month) working capital gaps. But they should never be relied on as a long-term SME financing tool. The interest on roll over outstanding balances would compound exponentially over time. 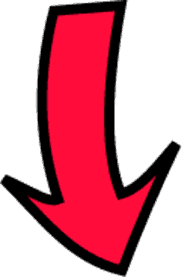 Unsecured business term loan interest rates range between 8% to 12% p.a. effective rate. Government financing schemes bears interest of about 5.5% to 9% p.a. effective rate. Secured loans for equipment and machinery loans interest ranges between 2% to 7% p.a. flat rate. Revolving facilities such as trade financing and factoring interest is between 5% to 9% p.a. effective rate. Property financing is the cheapest form of financing with interest between 1.5% to 4% p.a. effective rate. Interest rates varies between different banks. Generally, interest is determined by the credit profile of the borrower, the loan quantum and whether if loan is collateralize. It is always prudent to check around few banks to source out whom can offer you the best interest rates for your SME loans. Most Singapore business loan interest rates are calculated via monthly reducing rest basis. In this method of calculation, the principal loan amount is amortized over the loan tenure on monthly rest with fixed equal installment repayments every month. Many are mistaken on the effective interest rate for business loan. When banks quote you 10% p.a. effective interest rate for a $100,000 SME loan over 3 years tenure, most SME owners will assume interest is about $10,000 per year. The actual net interest is about $5,387 per year and not $10,000. That is because the principal loan amount is amortized monthly and every monthly installment you make will reduce the original principal amount. For a more comprehensive guide on business loan interest rates and to use a loan calculator, do check out our business loan interest rate page. Some banks have specific industries that they do not finance due to existing heavy credit exposure to that industry or high industry default rates in their loan books. Macro-economic issues and negative news in the media on certain industries will also affect bank’s financing on that particular industry. The negative outlook for the offshore and marine sector in 2016-2017 has been well documented  and this certainly affects all companies operating in this industry when applying for financing during that period. If your company does not qualify for a business loan with one bank due to your industry nature, it is not necessary that all other banks are not able to explore financing for you. Different banks may have varying outlook on the same industries. Most banks and financial institutions will require two to three years of operating history before considering extending financing. Therefore, new startups are usually not able to qualify for traditional business loans. Startup business loans are not common in Singapore and loan options are usually very limited. For companies with minimal one year of operational history, financing options are still available but limited. You will need to have a recommended minimum annual revenue of at least $200k if you’re looking to apply for a SME loan in Singapore. Your annual revenue will also determine your eligible loan quantum. Most banks will require to assess your company’s financial reports. 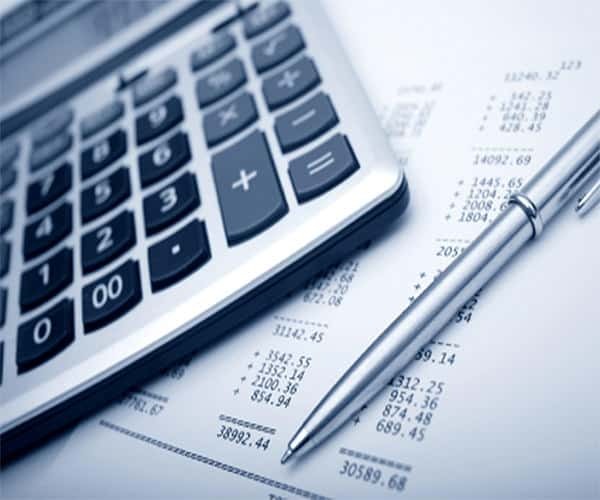 We frequently advise business owners to ensure accounts are prepared in a timely manner. There are many factors banks will analyze when scoring your financial report. Without going into an accounting 101 lecture, the most important figures you should take note of in your financial report is your net profit/loss in your Profit & Loss statement and your total equity figure in your Balance Sheet. In general, if your company is reporting a net loss or reflects negative total equity in your financial report, it will be challenging convincing the banks to extend a small business loan. However, in certain situations, an experienced SME loan consultant might be able to help mitigate weakness in your financials if there are other mitigating factors to support the application. Your company’s bank statement is one of the most important document banks will use for business loan evaluation. Factors such as the average cash float maintained in account, crediting deposit and debiting withdrawal amounts, month end balances and cash flow fluctuations will affect loan eligibility. 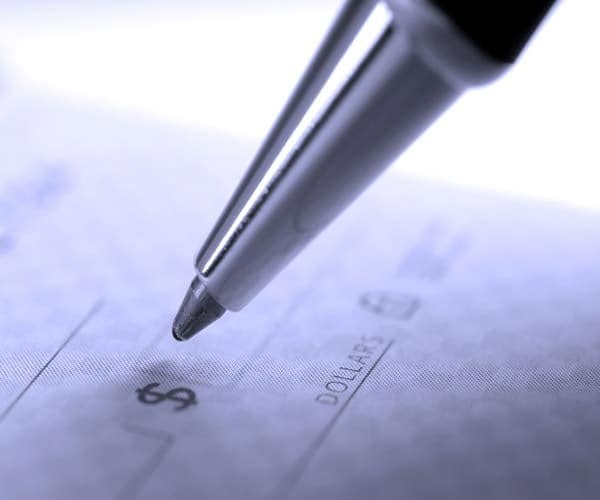 Returned cheques or bounced cheques are extremely detrimental to business loan assessment. The banks weight this heavily as it indicates signs of credit unworthiness and tardiness in managing cash flow. It is recommended to maintain bare minimally $10k to $20k in your average daily balances and month end balances for the last 3 to 6 months prior to SME financing application. Aside from assessing company’s financials, banks will also take into consideration the director’s personal income and personal credit history for a business loan. Most banks would prefer directors to report minimum $30k personal income in their Notice of Assessment. Director’s personal credit bureau checks will be conducted as well. You can check your personal credit bureau score and data by purchasing it at www.creditbureau.com.sg/. The key thing to look out for in your credit bureau report is the overall credit grading at the end of the report. The grading ranges from AA which is the best grading to HH, the worst. Not all banks will solely base their credit assessment on this credit bureau score but in general, you should target for overall score between AA to DD and avoid GG to HH scores. To improve your credit score, you should ensure prompt payments on all your personal credit facilities. Making full payment on your credit cards instead of rolling over balances will also help improve scoring. Avoid applying for too many personal credit facilities at the same time and taking out cash advances on your credit cards as these will adversely impact your credit score. Most banks will request for minimum latest 2 years financial report for a company loan assessment. The latest financial year report cannot be too old and generally should be within 18 months from loan application. If your accountant has not prepared the full set financial report yet, you can also supplement the application with a set of internal draft management accounts which minimally should reflect the Profit and Loss Statement plus Balance Sheet. Most banks will require latest 3 to 6 months bank statements for business loan assessment. Tip: If you anticipate an upcoming cash flow crunch or large payments out, try to plan ahead and apply for a loan earlier. Your bank statements will score better if most recent months’ cash balances are healthy. You might need to furnish your debtor’s and creditor’s ageing payment list if you’re applying for revolving business loan facilities such as trade financing, invoice financing or factoring. Director’s IC copy to verify identity and personal Notice of Assessment (NOA) for latest 2 years are required. You can retrieve your personal NOA via iras.gov.sg with your Singpass. If your company is GST registered, some banks might also require last 4 quarters of GST form F5 to verify the gross revenue declared. If your company has existing SME financing facilities from other banks, you would need to furnish a list of the details. Information required would be the names of the respective lenders, type of facilities granted, original and outstanding loan amount, outstanding tenure, interest rate, and monthly installment amount. Some banks might require to conduct a site visit to your company’s operating premises to take some photos. The purpose of this is to verify the company’s operating address and to conduct due diligence. 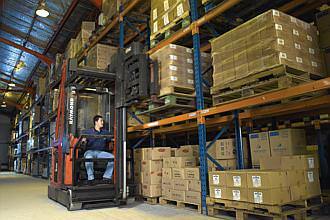 If you don’t have a proper office, factory or operating premises (i.e. home office), you might fail the site visit. Not a compulsory document but a business loan application that comes with a brief 2-3 page write up on company’s business nature, customers profile, management team profile, working capital requirements and projected future plans might be useful to improve SME loan approval chances. There are many variable factors discussed above which affects the chances of approval for business financing. These are the steps you can take to improve the chances of approval. Always anticipate ahead and start planning your business loan applications before you need it. If you have an upcoming order or project that requires additional working capital support, try to plan your applications earlier. Be prepared to wait. Unlike personal loans or credit card applications which can be granted within 1 to 3 days, business loan take longer to assess. You should expect to wait one to three weeks for a status on your application. Most SME bosses are busy and prioritize their time on operations or business development. It is good practice to review your bank statements and accounts on monthly basis to keep on top of your financials. If you realize that your cash flow in bank statements are tight, take steps to improve working capital cycle either by chasing debtors payments or negotiating longer credit terms from suppliers. Review your financial reports with your accountant yearly to look out for large expense items and track your operating cash cycle. By maintaining your bank statements and financials in consistent good shape, you will position your company well to be in optimal credit worthy position whenever you might require as business loan. Do take time to make sure your personal credit facilities such as credit cards and car loans are paid on time every month. Some SME owners neglect to pay attention on this and thus, their personal credit score will be impacted. Your personal credit score has a high weightage in a SME loan assessment. We have encountered countless situations where applicant company has solid financials and strong credit worthiness. But business loan applications were eventually declined due to director’s tardy personal credit conduct. No two banks have the exact same credit criteria. Interest rates and financing terms differs across lenders as well. As such, it is best to keep your options open when initiating SME financing applications. Compare across as broadly as possible to make sure you get the lowest rates with most favorable terms. Now you have a clearer understanding on the business loan landscape and assessment process, it would be much easier for you when you next apply for funding. If you would like to compare all banks loan products, try our SME financing comparison tool and see your loan options instantly.